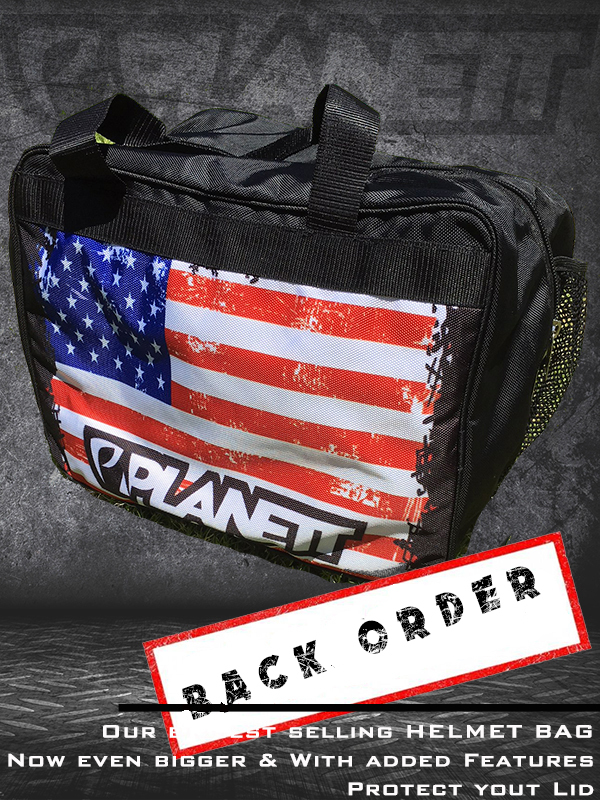 Helmets are an expensive piece of protective equipment.You spend alot of money on protecting your head, now protect the helmet in our Planett Helmet Bag. Having its own bag will keep it looking newer for longer, add goggles in the mix and this bag has your head covered. Country Flag printed in Gothic Style on one side. External Side Zip compartment for wallets etc. Suitable to be used as Carry-On Luggage. Plenty of room for goggles, gloves, helmet and more. Reinforced Double Carry Straps with velcro wrap closure. 4 Rubber Grommets underneath to keep the bag supported. Fleece lined inner to protect the helmet from scratching and rubbing. Lockable Zip to keep your helmet safe.